Fiji Fun with Captain Cook Cruises - from 1196.00 per person! 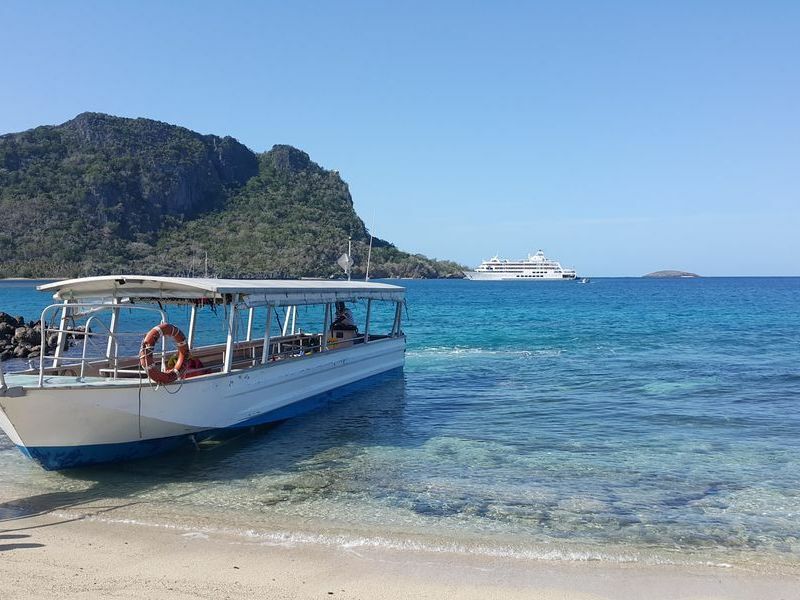 All 3, 4, 7 and 11 night cruises are aboard the 130-passenger, fully accommodated and newly refurbished MV Reef Endeavour small ship cruise vessel, equipped with a hydraulic platform to make getting on and off the ship easy. 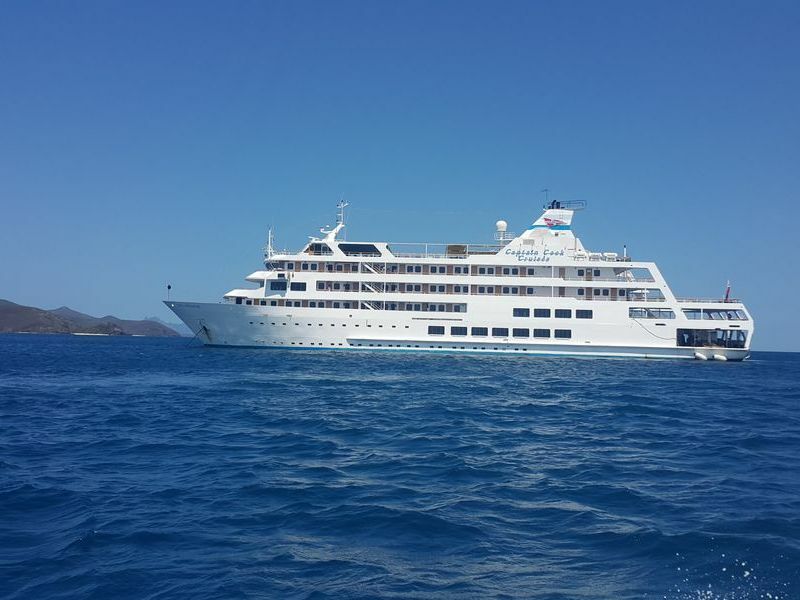 Cruises discover parts of Fiji larger ships cannot get to and passengers visit remote villages, churches and schools and take part in traditional village sevusevu ceremonies and Meke and Lovo feasts. As well as being immersed in Fijian culture there is plenty of time for relaxing on warm white sandy beaches, swimming in crystal clear waters, snorkelling or glass bottom boating over amazing coral reefs. Experience the underwater world with mind blowing scuba diving operated by Viti Water Sports, a PADI5 Star Dive Centre Dive. Two dives are offered daily and always in different locations. Stay onboard and laze by the pool or spa or be pampered at the ship's Senakai Day Spa. Combining both our 3 & 4 day tours of the Manamuca and Yasawa Islands, our 7 night tour will give you access to the most breathtaking scenery and cultural experiences that the region has to offer. From Monuriki Island, where the Tom Hanks movie 'Castaway' was filmed, to our exclusive trip to The Narokorokoyawa or Sacred Islands where you will experience a Sevusevu (gift giving) ceremony, there is something for everyone on this cruise. You'll be able to relax in style aboard MV Reef Endeavour where your fully catered buffets and 3-course meals will be served against a backdrop of spectacular scenery. Chill by the pool or on the sundeck, indulge in a massage in our spa or get active and explore the daily stopover destinations by kayak or glass bottomed boat or get close to nature and go snorkelling or diving in pristine waters. The choice will be yours. Plus, as an added inclusion, you'll be offered the choice of a complimentary tour, regardless of embarkation day, to the Sabeto Mud Baths or Orchid Garden of the Sleeping Giant. and use of the ship's facilities including a swimming pool, spa, mini gym, sun deck, cocktail bar and library.